Indira Gandhi Institute of Yog Services (IGIYS) gives highest value to our customers requirements and does everything possible to provide them complete satisfaction. We provide services in all Yoga allies viz Yoga for General Fitness, weight lose, Meditation, Pre/post Natal yoga, Yoga for children, Aged and young people, Yoga for Life style Disorders like Cervical, Migraine, Thyroid, Heart problem, Asthma, Arthritis, Post Accidental Recovery, Eye problem, Shoulder problem, Obesity, Diabetes(sugar), Glaucoma, Knee and joint pain, COD cyst problem, stress management and more . 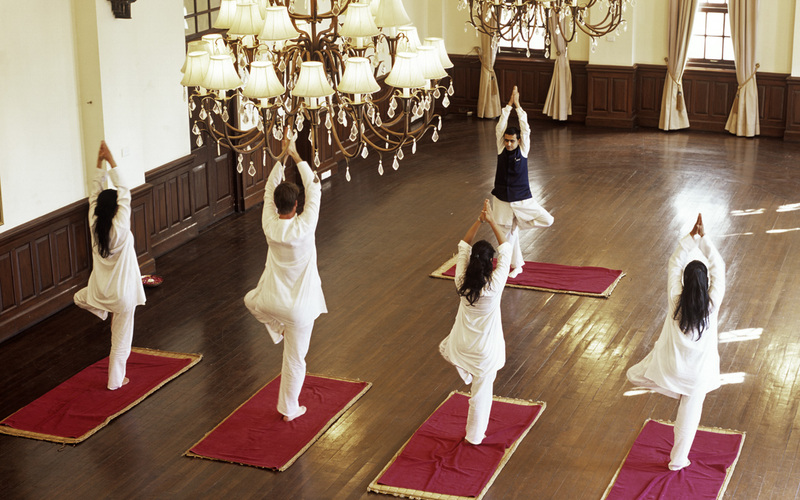 We provide Power Yoga sessions in groups and individually at your doorstep. Our trainers are experience and certified. Yoga can heal your mental stress and keeps you away from Doctors!!! Power Yoga is stress relieving and happiness provider.Whether you are looking for a way to maintain your fitness, or lose weight, or achieve greater fitness and flexibility, you will find a solution at Indira Gandhi Institute Of Yog Services. On the other hand you will notice a deep and positive change in your lifestyle, your peace of mind, and spiritual wellbeing, through discipline of body, breath, emotions, mind and spirit. Join a class today to feel fantastic and look phenomenal ! 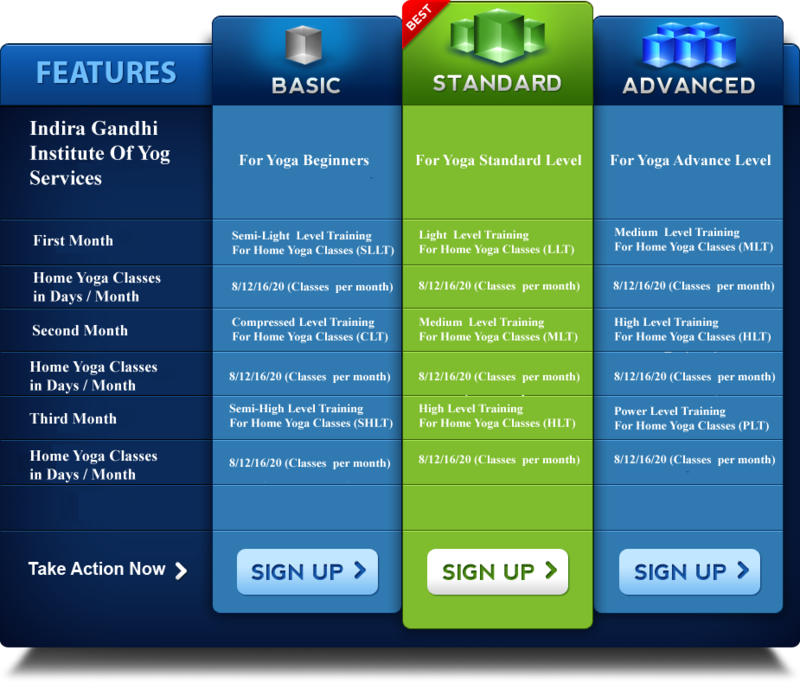 1) Yoga: Power yoga, Hatha yoga, Ashtanga yoga, Vinyasa yoga, Pre/post Natal yoga, Mantra Yoga. 2) Meditation: Meditation, Om Shanti, Concentration exercises, Relaxation exercises, Breathing exercises, Stress Releasing Exercise. 3) Therapy: Life Style Disorders, Yoga Therapy exercises, Alignment exercises, Neuro-Muscular coordination, Psychotherapy Exercises, Yoga Hybrid. At Indira Gandhi Institute Of Yog Services, We feel that Yoga is suitable for everyone, of any age or physical condition. Because of the no strenuous nature of the approach to Yoga as exercise, even people with physical issues can find it beneficial to practice yoga. Yoga is not a religion. It has no fixed set of beliefs. At the heart of yogas philosophy is that everything comes from within the SELF. All the classes at IGIYS (including our beginners sessions), are multi-leveled, target focusing, encouraging yoga training to honor the body, mind and spirit while improving growth, increase health and transformation through powerful group source energy. Beginner’s yoga sessions are focused towards those who are freshers or have never done yoga, but we are open to everyone Our experienced and certified yoga teachers takes gentle and focused yoga practice covering all body segments to achieve priorities to best. The beginner yoga sessions is excellent preparation for our overlapping yoga comprehensive IGIYS series (Ocean, Mountain, and Desert) which is the core result of the IGIYS practice. Power Yoga is a system of techniques that can be used for: managing stress, learning to relax, and increasing limberness all the way to becoming more self-aware and acquiring the deepest knowledge of one’s owns self. Regular daily practice of all parts of power yoga produces a clear, bright mind and a strong, capable body. There is simply no other discipline quite like power yoga because it utilized the body, mind and spirit, all in one practice. Power Yoga is indeed a spiritual path that is based on ancient sacred philosophy, but one does not need to make an ethical decision when practicing yoga, rather finding your own path is wholly accepted. The holistic benefits of power yoga are suitable for the young or old, sick or well, with any religious background. The secrets of power yoga are inwardness, concentration, and purification of mind and body with cleansing thoughts and food. Mr Pankaj Thakur, along with the entire IGIYS family, look forward to serve you with much effect, joy and satisfaction as you take your first powerful and positive steps in IGIYS conscious yog journey of Peace, Power and Flow!! !